Why Golden Gate Sotheby’s International Realty? 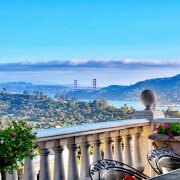 I am very proud of my affiliation with Golden Gate Sotheby’s International Realty, the number one real estate brokerage in Marin County and the pre-eminent lifestyle real estate brand worldwide. To represent a home of distinction requires highly-qualified real estate professionals with global reach and local expertise. Founded in 1976, the Sotheby’s International Realty brand is a unique and distinctive network of brokerage agencies offering a wide selection of luxury homes, estates and properties for sale throughout the world. This venerable brand is known throughout the world and communicates quality, service, and of course luxury. Sotheby’s International Realty maintains high standards for property photography, videos and marketing materials — all must uphold the prestige of the brand, showcase the properties and honor the elite associates who form the Sotheby’s team. I am proud that my marketing videos are cinematic in scope and feature my property listings in the best light possible. Sotheby’s International Realty agents are held to the highest standards of professionalism, expertise and of course are expected to provide exquisite service. The Sotheby’s International Realty network currently has more than 22,000 affiliated independent sales associates located in approximately 960 offices in 72 countries and territories worldwide. The brand is marketed worldwide in conjunction with some of the biggest names in online and traditional media. Golden Gate Sotheby’s International Realty (GGSIR) has approximately 400 agents in 18 offices throughout the San Francisco Bay Area serving the counties of Alameda, Contra Costa, Marin, Napa, San Mateo, Santa Clara, Sonoma and San Francisco. GGSIR is your local connection for global exposure. 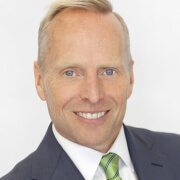 I would welcome the opportunity to discuss the Sotheby’s International Realty brand with you and how my exceptional service and marketing strategies can help you attain your real estate goals. Please call or text me at 415-847-5584, or use the contact form below.